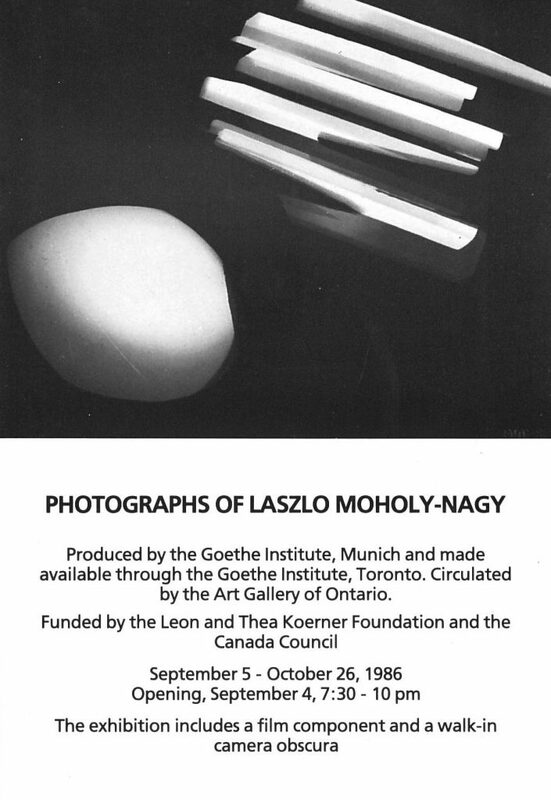 Produced by the Goethe Institute, Munich, and made available through the Goethe Institute in Toronto. Circulated by the Art Gallery of Ontario. Supported in Vancouver by the Canada Council and the Leon & Thea Koerner Foundation. The exhibition includes a film component and walk-in camera obscura.